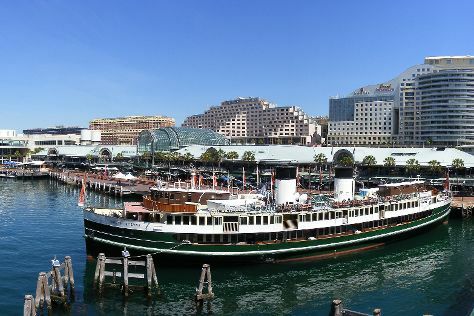 Do some cultural sightseeing at Australian National Maritime Museum and Darling Harbour. Art Gallery of New South Wales and Australian Centre for Photography will appeal to museum buffs. You'll find plenty of places to visit near Sydney: Norman Lindsay Gallery & Museum (in Faulconbridge), Katoomba (Wentworth Falls & Canyoning & Rappelling Tours) and Everglades Historic House and Gardens (in Leura). And it doesn't end there: kick back and relax at Bondi Beach, identify plant and animal life at Featherdale Wildlife Park, see a show at Sydney Opera House, and get a new perspective on things with Boat Tours & Water Sports. For where to stay, maps, traveler tips, and more tourist information, read our Sydney vacation builder website . If you are flying in from United States, the closest major airport is Sydney Kingsford Smith International Airport. In November in Sydney, expect temperatures between 77°F during the day and 62°F at night. Finish up your sightseeing early on the 28th (Thu) so you can travel back home.